Medellin, Colombia – September, 2016: A panoramic view of Medellin. 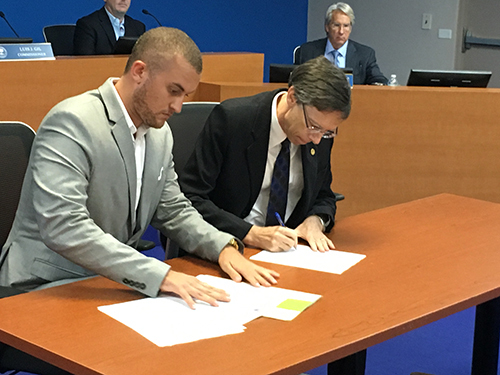 On August 21, 2018, in the City of South Miami Commission Chambers the forging of a “Sister-City” between the City of South Miami, Florida, and the Municipio de Medellin, Colombia, was formalized. The Municipality of Medellín, which is also the capital of the Department of Antioquia, is located in the Aburrá Valley, one of the most northerly of the Andes Mountains in South America. 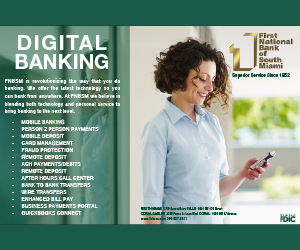 As of 2013, it has a population of 2.4 million, which is similar to the population of Miami-Dade County. 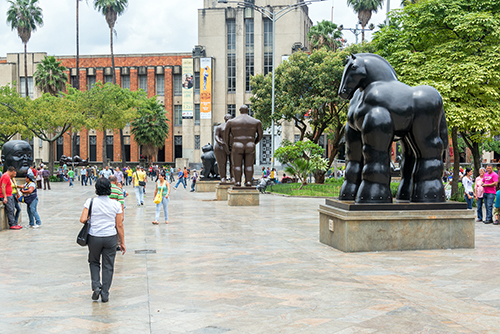 With its surrounding area, the Area Metropolitana de Medellín (metropolitan area of Medellín), which includes nine other cities, it is the second largest urban agglomeration in Colombia in terms of population and economy, with more than 3.5 million people. 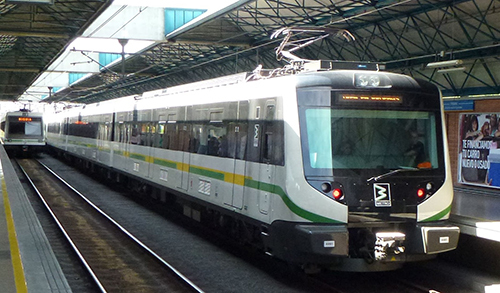 The Medellín Metropolitan Area produces 67% of the Department of Antioquia’s GDP and 11% of the economy of Colombia. 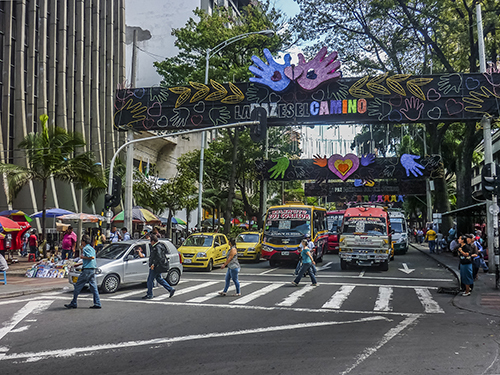 Medellín is important to the region for its universities, academies, commerce, industry, science, health services, flower-growing, festivals and nightlife. 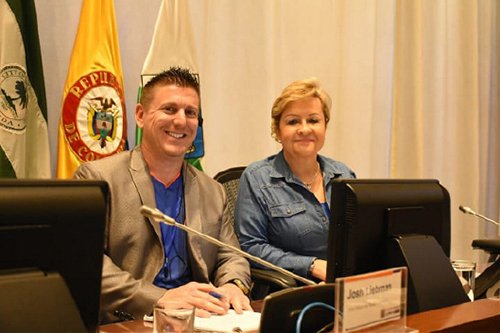 Founded by President Dwight D. Eisenhower in 1956, Sister Cities International is a nonpartisan 501(c)(3) nonprofit which serves as the national membership organization for individual sister cities, counties and states across the United States. This network unites tens of thousands of citizen diplomats and volunteers in nearly 500 member communities with over 2,000 partnerships in more than 140 countries on six continents. Its member programs focus on four main areas of exchange: arts and culture, youth and education, business and trade, and community. In his appreciation of the region and culture, what intrigued Commissioner Liebman the most about Medellin is its transformation over the past two decades and how a progressive and popular agenda created the dynamics in bridging the divide between the lowest income and most affluent populations. 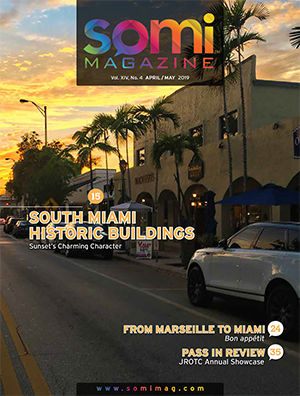 However, the Commissioner noted that the most innovative city in the world, Medellin, did not have a Sister City relationship with any municipality in Miami-Dade County which created a wonderful opportunity for South Miami, the City of Pleasant Living. With “Miami Vice” in the mid-80s and for years that followed Sonny Crockett and Rico Tubbs defined the popular Miami’s culture, Medellin was home to Pablo Escobar, a real life drug kingpin and head of the world’s bloodiest drug cartel. For decades Medellin was a “no-go,” with hit squads and car bombs regular happenings. The city had the highest murder rate in the world, and Medellin’s reputation was just that. 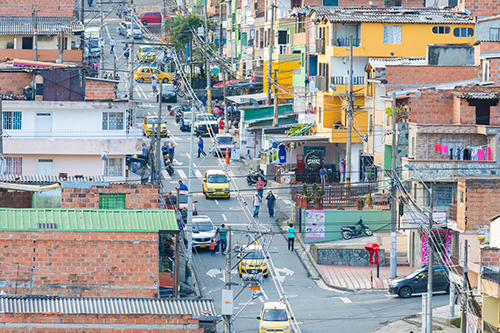 Over the past 20 years however, Medellín’s homicide rate has plunged nearly 80%, a rate below US cities like Detroit, New Orleans, Baltimore and St. Louis. In an article published in The Miami Herald (March 8, 2018), “From Murder Capital to Retiree Haven” it is noted that visitors to Medellin find a friendly, cosmopolitan city where rent is cheap, the weather is fine and the healthcare is a big plus. 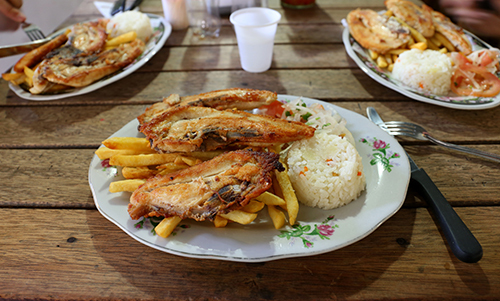 More US expats are heading south to Colombia. 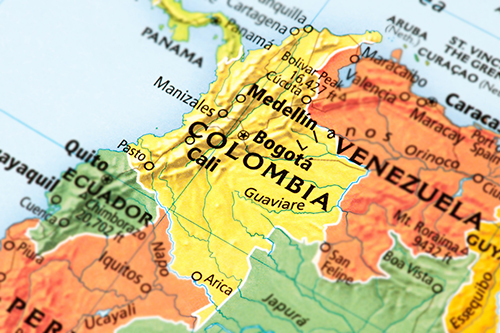 In 2017, the U.S. Social Security Administration sent 6,704 retirement checks to Colombia — an 85 percent increase compared to 2010, and more checks are sent there than to any other country in Latin America or the Caribbean except Mexico. 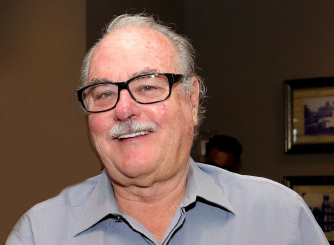 Safety has increased demonstrably, and as reported by Juliana Cardona Quiros, the city’s undersecretary of tourism, there have been increases in tourists and retirees. Medellin saw more than 735,000 foreign visitors in 2017, up 5 percent from the previous year. Much has happened over these past two decades. In December 2016, Colombian President Juan Manuel Santos was awarded the Nobel Peace Prize for brokering a Peace Treaty to end a 50-year civil war. Map of Colombia. A detail from the World Map. 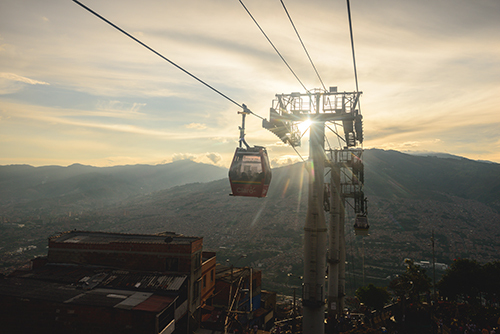 In February 2013, Medellín was chosen as the “World’s Most Innovative City” by the Wall Street Journal and Citigroup partner with Urban Land Institute due to its recent advances in politics, education and social development. And in the same year, the city was announced as the preferred corporate business destination in South America and won the Verónica Rudge Urbanism Award conferred by Harvard University to the Urban Development Enterprise. 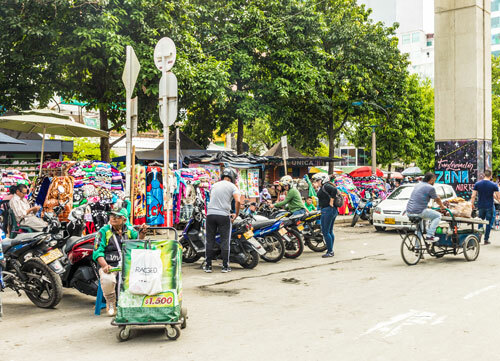 As the most “Innovative City of the Year” Medellin was selected over an initial pool of 200 contenders, then reduced to 25, and the finalists 3: New York, Tel Aviv and Medellin. “Originally distinguished for its progress and potential, the winning city found new solutions to classic problems of mobility and environmental sustainability. Today, gondolas and a giant escalator shuttle citizens from steep mountainside homes to jobs and schools in the valley below. As a result, travel time for the majority of its citizens has been cut from more than 2 hours to just a few minutes. In this city, a modern underground metro system has eased pollution and crowding in the city’s main arteries above, and glistening new museums, cultural centers, libraries and schools enrich the community. 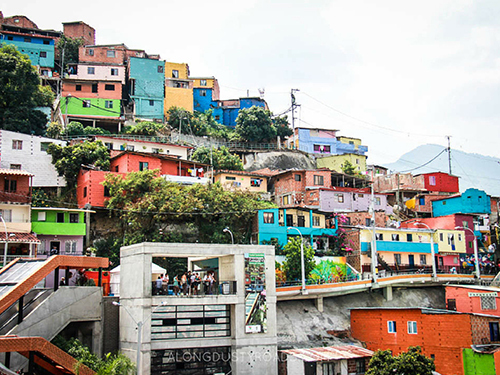 Comuna 13 barrio is a symbol of the change happening in Medellin. 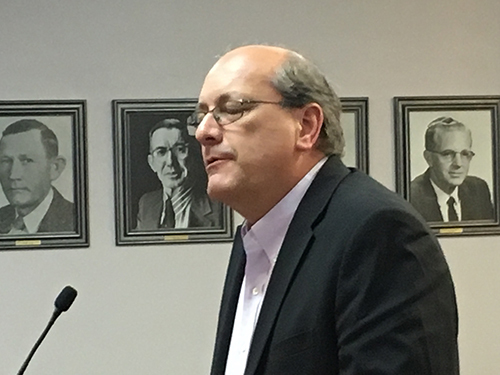 Under the “Sister City” relationship, both cities commit to support and encourage opportunities for mutually beneficial and practical exchanges in the fields of business, arts, culture, education, sports, and tourism. South Miami City Commissioner Josh Liebman with the President of the Concejo d’Medellin Aura Marleny Arcila Giraldo for officlal signing on July 2, 2018. 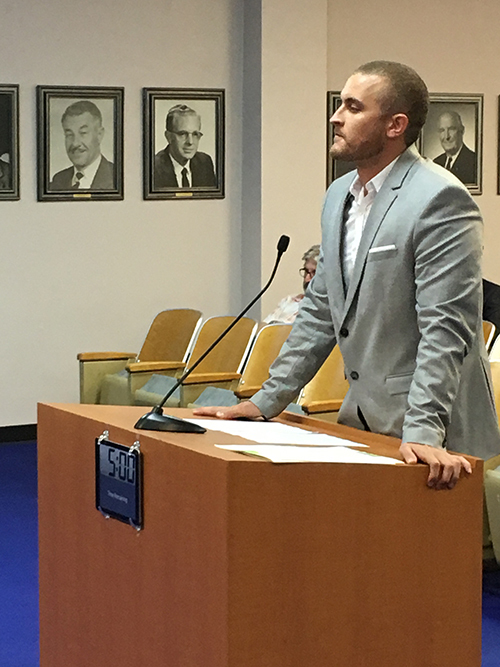 Area Metropolitana Medellin administrator Santiago Murillo Arrubla at the August 21st signing ceremony held at the South Miami City Commission Chambers with Mayor Philip Stoddard. 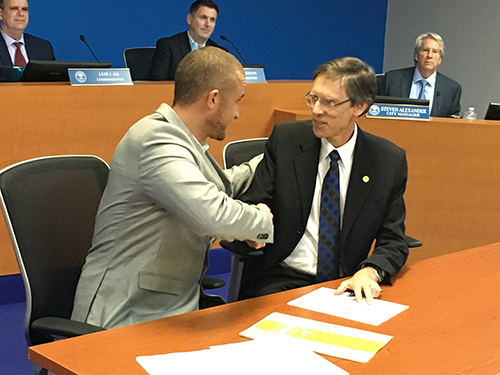 South Miami Mayor Stoddard and Santiago Murillo Arrubla exchange congratulatory handshakes after signing. 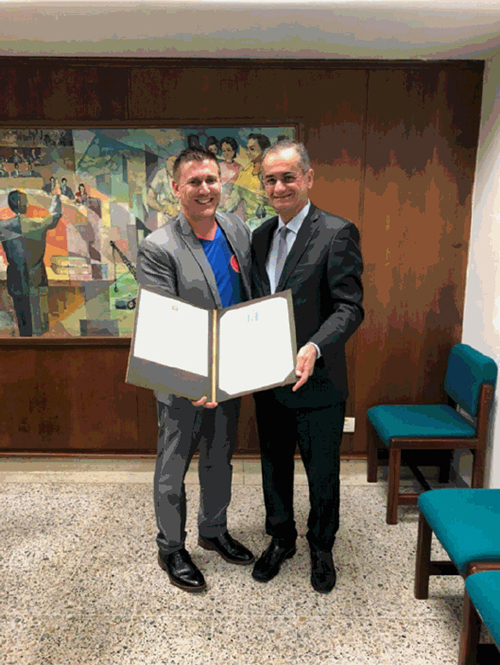 Commissioner Liebman with the Secretary General of the Concejo, Ruben Ramiro Estrada Sierra taken on July 2nd. Sergio Escobar, former director of ACI, an economic development initiative in Medellin. Award-winning innovative cable systems link communities. MEDELLIN COLOMBIA DECEMBER – 2014 – Lot of people in a sunny day at traditional street in Medellin one of the most important cities of Colombia. 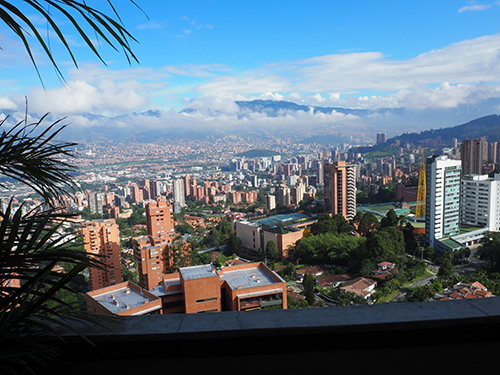 Castilla is one of the suburbs of Medellin, appreciated by tourists because it is full of life even at sunset.